Those were the wise words of my older sister after she read my last blogpost and spoke to me on the phone. Kind of ironic, because distractibility is pretty much my calling card. You’d think I’d have it down to a science. But clearly I needed a nudge and a reminder that instead of trolling the internet searching for random articles and research studies that had some vague connection to myself, I needed to just find something mindless to keep my brain occupied (ironic as that might seem). I cried when the series ended and went into some serious withdrawal. I tried Homeland. Tried every 24 wannabe. But I missed Jack. 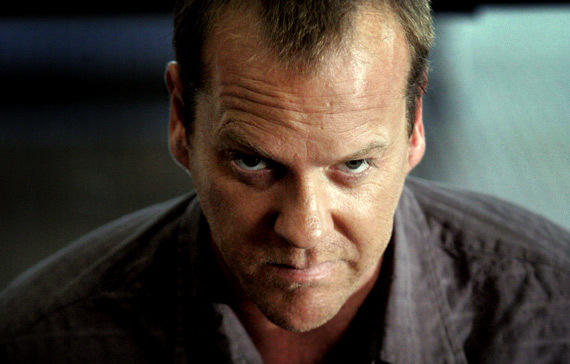 And then Jack was back with 24: Live Another Day. Amazing! Of course, as fate would have it, things came up, and I couldn’t watch it. Missed the first 7 episodes actually. While Jack was saving London, I was working on saving myself. Go figure. So when my sister reminded me to find a distraction I knew it was time to find Jack again. And there he was, waiting for me on Hulu and Fox online. I spent an afternoon catching up with Jack and watching him save London against all odds. Watched as the terrorists got the upper hand over and over. Watched as he tortured a nine-fingered villain. Watched as the good guys were caught and tortured some more. Watched as he miraculously recovered from gunshot wounds and could easily drive through London streets with his damaged arm. So I know. It’s fiction. Serious fiction. But still, there was something in the fiction that gave me a bit more courage, a bit more strength to deal with my own insane circumstance. I’m not really sure why I said that. I hadn’t thought about Jack Bauer for a while and then right there, in the middle of everything, I remembered Jack. I think it explains why we need fiction. When reality is too much to bear, when walls are collapsing, it is the fictional heroes who come to our rescue. They are the books we read to escape, the shows we throw ourselves into, and the movies that transport us. Who we conjure at our moments of crisis, or even joy, changes depending on the situation. Movie lines become a part of our conversations, mannerisms that we mimic from the characters of our youth come back on call, standing around us like specters. They hold our hands and make us laugh, sprinkling our difficult realities with moments of fiction. Jack Bauer didn’t save me from surgery. But he saved me after. In the midst of chaos and pain and depression, I was off saving London. For 6 hours I wasn’t thinking about cancer or pathology. I was just having a good time, Percocets and all. I was freakin’ Jack Bauer. And Jack Bauer always saves the world. Not bad for a little distraction.